The following is the chapter I contributed to the Salmon 2100 Project, edited by Robert Lackey, Denise Lach, and Sally Duncan. The book was published in 2006 by the American Fisheries Society. I recently received a request for this chapter from an individual professionally involved in salmon and steelhead management. I wonder if he will think me a nut-case when he reads this. Hummmmmm. I re-read the chapter just this morning and, overall, my views have not changed much in the last six years since this was published. Sadly, I have not seen much progress with respect to the suggestions I made in this chapter. I invite you to browse the chapter that follows, and see if you agree, or disagree, and decide if there are ways you can help save people and salmon or whether you even care. The invitation to contribute a chapter to this book was deceptively simple and ever-so enticing: describe what must be done to ensure that significant, sustainable runs of wild salmon will persist in the Pacific Northwest (Oregon, Washington, Idaho, and southern British Columbia) and California in 2100. Be brutally honest, be candid, be clear, and speak from the heart in describing what must be done if society really wants wild salmon to persist. I believe that the effort to sustain wild salmon in the region is as dependent on swaying public opinion as on science, law, management, or restoration. I actually believe that saving salmon (as something more than a museum piece) depends on emotion more than objectivity, on the heart more than the mind. I believe that human society can choose to sustain wild salmon in much of the Pacific Northwest and California – or could choose not to sustain them. It’s that simple. The cost of saving salmon is likely to be significant (see Lackey Chapter 3). The benefit is also likely to be great. Is sustaining wild salmon the highest priority for the region? Not at all. Social issues like education, health care, crime, infrastructure maintenance, clean water to drink, food to eat, and employment certainly rank higher for most people than sustaining wild salmon. These and other issues of high social and environmental importance will receive a large and well-deserved amount of attention, money, and effort. Still, our society will continue to possess considerable discretionary resources available for other, more personal causes. Save the whales. Save the seals. Save the redwoods. Save the tweetie birds. Why not save the wild salmon? Why not save the forests, the fields, the estuaries, and the rivers – the sort-of wild places – that define the Pacific Northwest and California today? Why not save the opportunity to breathe fresh air and see salmon leaping up rivers? Why not? I do not believe wild salmon will be abundant and thriving in all watersheds across the region in 2100. Humans are planet changers. Period. The future that lies ahead for both salmon and people will be shaped by the magnitude of the human population and the sum of choices people make as the number of people in the region grows. I believe that the futures of salmon and people are intimately connected. Our futures will be shaped by the global economy, and by global climate. But our futures will also be shaped by the choices people make as we live our lives as individuals and as families in our local communities. A future with 50 to 100 million people in the Pacific Northwest seems rather ominous to me. I imagine a future that is not very safe for people or for salmon, a world of making do with environmental leftovers. I can still imagine joy, beauty, purpose, opportunity, and choice. I just imagine that options for both people and salmon will be much more limited than they are today. This future will bring great challenges dealing with the basic human business of survival: earning a living, finding a home, taking out the trash, eating supper, going to the doctor, getting to work and home at the end of the day, raising a family, educating the kids, going to the park, having some fun on days off from work, keeping crime rates tolerable, paying the doctor bills, paying to get the roads repaired, and so on. All of these concerns will certainly exist in our children’s future, with or without wild salmon. The future will surely make it harder and harder to find rivers that behave like rivers once did, to find quiet alongside streams, to find salmon lying in the pools or digging their nests in gravel bars. Wild salmon depend on watersheds and oceans where they can live their lives. The actions required to maintain healthy watersheds and oceans are often typecast as an exorbitant luxury that would only serve the needs of a tiny segment of human society. I disagree. I believe that functionally healthy watersheds and oceans are actually essential to sustaining the earth’s ability to produce food to eat, wood for shelter, water to drink and irrigate crops, and air to breathe. Well now, look at that. We need what the salmon need. Before I get started, I need to get something off my chest. Just what makes salmon experts the final authority on what the future will bring anyway? Remember, after all, that salmon experts have been acting like they were in charge and everything was under control since the late 1800s. They wrote scientific papers, officiated, and pontificated while the salmon declined. They told us we could have all the salmon we wanted from hatcheries. They told us how we could have maximum sustained yield. They explained in great detail how fish ladders and other new gizmos would make dams in the Columbia fish-friendly. Hah! Some of the salmon experts may know a lot about fish. But they don’t know beans about what the world of 2100 will look like. Sure, there are population trajectories, there are energy-consumption trajectories, there are water use trajectories, and there are crime trajectories, and human disease trajectories and earthquake trajectories. Should we ignore these? Nope. But we should not be paralyzed by these trajectories either. We make choices, each and every one of us, choices that determine which trajectories will actually come to life. Get the facts and make the choices. The future is up to you, not just the salmon experts, to determine. I had a conversation with my five-year-old son last summer. We were sitting in our car, in a parking lot, taking a break from grocery shopping. It was a hot day for Western Oregon. We sat in the car and sipped cold drinks. Son – Dada, will there ever be no people on earth? Me – (Surprised at the seriousness of the question) Well, I suppose so. Yes, eventually. Me – A long, long time from now. Son – While we are still alive? Me – No. Long after you and I are gone. And after your children are gone. Millions of years from now. Son – Why would there be no people on earth? Me – (Not wanting to talk about nuclear winter, asteroids, or other unpleasant possibilities) – The sun will eventually burn out and the earth will be a cold ball of ice. Son – How could people still live here? Me – They couldn’t. Nothing could live here when the sun burns out. Son – What would all the people do? Me – (Not wanting to admit that the entire human race could just perish) – Well, they could build rocket ships and travel to another planet like earth and live there. Son – How could the new planet be just like earth? Me – It probably wouldn’t be just like earth. But it would have oxygen and not be too hot or cold, and have water, and plants, and critters, and have food to eat, and places for people to live and for children to play. Me – Yes, time passes very fast when you’re having fun playing or fishing. We sat there for a while in silence. Then he started again. Son – Dada, will there ever be no salmon on earth? Son – Could there ever be no salmon on earth? Me – I don’t know. I suppose so. Son – Why would there be no salmon? Me – Well, people could catch too many, or we could change the rivers so much that the salmon could not lay their eggs and have safe places to live in the streams before they go to the ocean. Son – And litter and make culverts that block fish too? Me – Yes. That would be bad for the fish too. Son – Dada, will salmon be here as long as people live on the earth? Son – Will salmon be here as long as our family is alive? Me – Yes. I think so. Son – Dada, is your job to help salmon stay healthy? Me – Yes. Yes it is. Son – What should people do to keep salmon alive? Me – Well, it’s complicated. Son – But what should people do, Dada, please tell me. So I told him, in words I thought a five year old would understand. I told him in words that anyone would understand. I tried to be accurate and fair. Me – Don’t catch too many fish. Don’t straighten the rivers too much. Don’t block the streams with culverts the fish can’t swim through. Don’t build dams that the fish can’t swim over. Don’t take too much water out of the streams. Don’t cut down all the trees along the streams. Be really careful with putting hatchery fish into streams. Don’t put too much mud or bad chemicals into the streams. Don’t . . . . . . . . . . Son – Dada, can we go to a park and play now? Me – Yes. Of course we can. We went to a park where there were trees for shade, but the conversation and Lackey’s annoying forecasts of salmon scenarios in 2100 continued to haunt me. I began to think about what I would say to my son if I thought he could understand the complexity of the world that I see. My son knows that I am supposed to help save salmon. He simply expected me to do my job. My plea – well, it’s just so complicated – was not sufficient reason to avoid answering the question. How would I answer if God asked my opinion? What would I tell people if I thought they would listen and consider doing what I asked? How could I plead to save wild salmon in a world that is becoming increasingly more complex socially and economically, where development pressures are growing day by day, where it seems that everyone wants the same resources that salmon need to survive? How could I say what I believed without being branded as too radical, too weak, misguided, compromising, unrealistic, or just plain – you know – crazy? The answer came to me, as they say, in a dream. A salmon spoke to me: a wise old chinook salmon. She spoke to me of her fears and hopes for the future. Here is what she said. You come to me and ask what must be done to save salmon across the Pacific Northwest and California. To ensure that salmon are sustainable as wild runs across the region in 2100. You tell me that there will be millions more people here. You tell me that humans will continue to worship money and manufactured things above natural things, above spiritual and cultural values. You tell me that humans will not wish to share the streams, the forests, and the waters that sustain our young. You tell me that humans are obsessed with concerns for their own prosperity, that they will have little regard for our prosperity, for our future. All this talk makes me very sad. This talk fills me with fear for the future of salmon. And it fills me with fear for the future of your children. You describe a future world that is dark for salmon and, I think, dark for your children as well. Humans are great and powerful, yet you are not so wise as you pretend. You depend on the earth, the sky, and the waters to sustain you, just as salmon do. Yet I fear humans believe they have outgrown any need for the natural world. Very well. You ask what must be done. I will answer to you. I will try to speak for all salmon, but I remind you that we are still many species, many populations, in many rivers. I ask my brothers and sisters to forgive me if my words are clumsy or if I am simply wrong. Do not believe that I speak for God. I can only tell you what I have come to believe, not knowing if this is right or just. But hear me, at least, and consider my words. First – your actions must enlist support for our cause. You must speak gently and firmly to win over people who have misguided ideas about the effort to sustain wild salmon. From time to time, you will hear humans talk about efforts to sustain wild salmon. In the course of their conversation, they will make statements that are just plain wrong, or that are not fair, or that only tell one side of the story. Here are three examples of short sighted or unfair statements that you must confront in a constructive manner. 1. Huge sums of money are being spent on salmon recovery. Humans have extracted uncountable riches from the land, the waters, and the creatures that populated this region. Our homes have sustained humans and bought you great prosperity. It is unfair to complain about money that is being spent to secure a future for salmon. Remember, neither salmon nor humans can breathe, eat, or drink money. It is time to pay back a small fraction of what you have taken to build a future that will benefit both people and salmon. 2. Sustaining wild salmon requires draconian restriction of private rights. Everyday human life involves innumerable restrictions on behavior. Obey traffic laws, pay taxes, meet school requirements, stand in line to get tickets, pay for water from the tap, pay to flush the toilet, wear clothes, don’t use offensive language, don’t pick flowers in the park, don’t litter, don’t walk on the grass, stand behind the security line, submit your luggage for screening, buy a fishing license, meet the minimum building codes, don’t locate that industrial factory in this neighborhood, don’t dump that trash in the river – and on, and on, and on. Humans, most of them, accept a vast set of restrictions on individual behavior and enjoy the rewards of the restrictions – a safer, more orderly, more predictable society, city, neighborhood, classroom, and workplace. Humans obey the rules and restrictions that society has established. Is it draconian to make someone pay taxes for the military even though they personally are not threatened with invasion by a foreign country? Is it unfair for someone to pay taxes to support elementary education even though they do not have children? The answer to each of these questions may be yes or no depending on the individual’s perspective. The same may be said of restrictions that may be needed to sustain wild salmon in the face of an escalating human population; some may find them inappropriate, but it is not fair to refer to these restrictions, alone, as draconian. 3. People’s lives would be no poorer if our Pacific Northwest and California rivers could no longer sustain wild salmon. Look at the inner cities in the densest population centers of the world. Look at the inevitable disparities between the few, the rich, the privileged and the multitude of impoverished souls that eke out their existence in high-density populations. Are the predicted increases in human population really coming to the Pacific Northwest? I can’t say. Has human society been bold enough to tackle the population bomb issue? No. Would there be social and economic consequences to limiting human population growth? Surely. Today, you have scenic vistas of rivers, lakes, forests, farms, beaches – and you have wild salmon. You have jobs and space to live, jobs and recreation, jobs and salmon. Salmon still swim through Vancouver, Seattle, Portland, and San Francisco. Many people live here because there are still rivers, beaches, farms, forests, and salmon. Don’t be so quick to dismiss the value people place on these intangibles. Where are you going to go, where will your children go, if millions of people gobble up the clean air, rivers, forests, beaches, and salmon? Alaska? Northern Canada? Do you think they want you up there? Not likely. Tell people how their lives would be different, how their children’s lives might be different, if the region changes so much that wild salmon can’t survive here. Paint them a picture. Let it sink in. Then encourage them to make choices that will be good for salmon and for people. Celebrate salmon images in your everyday lives. All creatures are beautiful. Sadly, many humans have become so distant from the land and the waters that they only appreciate the beauty of artificial things – trinkets created by man. Spread word of our beauty. Spread word of how we salmon have lived here with humans for 10,000 years. Spread word of how our bodies have sustained humans and otters, eagles and seals, raccoons, forests, and mayflies. Spread word of our beauty in images – in writing, film, and stories. Teach your children of our beauty. Teach your leaders, voters, and business owners. Salmon must have a strong constituency. Without it we will perish. With each year, human thoughts and lives are further removed from a world that can sustain salmon and people. You must provide abundant new opportunities for humans to see wild salmon. Today, the best place for people to see salmon is in a hatchery, at the viewing window of a dam that restricts our journey, or wrapped in plastic at one of your grocery stores. This must change. You must invest in constructing many viewing sites where humans can go to see us in the wild: see us digging our nests in the gravel; see us leaping at rapids and falls; see our young in their home streams leaping at insects at twilight; see us surging upstream through the riffles on the first fall rains. We must live in the hearts and minds of humans as they make their daily choices of how they work, how they spend their money, how they build their homes and families, and make compromises that affect the survival of wild salmon. Why should humans choose to make any sacrifice to sustain wild salmon if they think we live only in hatcheries? Help them understand that watersheds nourish us, and that we, in return, nourish the watersheds. Bring people to our homes. Let them see how we live and die. Tell them what we need to survive. When humans know us throughout the year as part of their families, they may choose to save us. Cease your bickering. Many humans who are most dedicated to securing a future for wild salmon behave as isolated angry spirits, arguing over what must be done to save wild salmon. Many of these humans are sincere but unrealistic. They engage in fights that cannot be won. They waste energy, waste resources, and create bad feelings among humans who might be sympathetic to our cause, but who turn away from our need because of the anger and hatred they see being expressed. Some humans say that a grave injustice has been done to the land and the waters that are the home to salmon. Some people say that the injustice must be set right. But salmon see that much of what has been done – is done forever. Battling with ghosts of the past will never secure our future. Do salmon think that it is wrong for humans to take our homes from us? Yes. Has it happened to other creatures, other peoples? Yes. Will the injustice ever be erased? Not likely. Cast these thoughts to the wind. Live in the present and strive for what future can be secured for salmon and humans, together. Speak with a single, clear voice. Many humans already respect the needs of salmon. All too often, these humans gather into little separate groups instead of banding together to speak with a single clear voice. It seems that many of these groups have become more concerned with sustaining their own viewpoints, their own distinct identities, their own sense of power, than they are with securing a future for wild salmon. These groups often do not agree with one another, so each speaks to their own agenda. The humans who care little for our future are confused; they do not know whom – or what – to believe. Human nature respects leadership. Do you think that the little chattering voices of the groups trying to save salmon will be strong enough to change the present course of human development? Do you think that many little voices will be respected when they tell different stories, make different demands, and argue among themselves? Put your differences to rest and sing a clear, positive song of a future that is livable for salmon and people. You must speak of salmon with your children. Education is the greatest hope for your future, for our future. Without each new generation of humans sympathetic to our needs, we are lost. Teach your children how to value life, how to value the land and the waters and the creatures of the earth. The existence of forests, marshes, beaches, and rivers can heal human souls. These are the homes of the salmon. Those of you who are not Native American tribal people must support the Tribes. European humans have been in the Pacific Northwest for only a few centuries. Native Americans have lived among the salmon for at least 10,000 years. The Tribes have memories of living and dying with salmon that deserve great respect, memories that carry great value in planning for the future. Both tribal and non-tribal people live here now, and each of you has powerful tools to serve the future of wild salmon. Your united action is needed to secure our future. Don’t trust in science or government to save salmon. Your human science and technology, alone, will never be enough to sustain salmon in the next century. Humans play games with science just as they play games with words. You study us. You study the rivers, the forests, the seals, the waters, and the dams. What happens then? Different humans tell different stories about these studies – stories that confuse and mislead. But who is to say who is telling the truth and who is misleading? These stories serve only to distract and delay effective action. Those of you who wish to secure the future of wild salmon must put your own differences aside, decide what you believe, and temper your belief with great humility. You already know enough to choose between actions that will secure the future of wild salmon and actions that will most jeopardize our future. Be clear about what you think and what you say. And never trust government to save us. Need I explain? Government is essential to human existence. Government provides law and order to replace chaos and anarchy. Government workers do their best to make decisions and take actions that are consistent with their assignments. But government, like science, has no soul. Government, like science, must constantly be watched, trained, counseled, re-organized, and, occasionally, challenged. I present you, I know, with a great dilemma. I tell you that science is important, but say don’t trust science blindly. I tell you that government is needed, but urge you not to trust government blindly. This is the challenge of being human, a free soul living in a democracy. This is the great challenge of thinking and evaluating and choosing for yourself. This is the challenge of maintaining balance between the group and the self. Humans want simple answers to complex problems. But what humans want is often not possible to achieve. Sustaining wild salmon will require compromise and sacrifice in many ways, just like most aspects of your daily lives. The solution is to swim in the sea of resources that can guide your journey to a future where wild salmon will survive with humans – science, government, common sense, emotion, love, art, money, business, passion, individual preferences, choice-making, commitment to the future of the earth and all of its creatures, commitment to our children, commitment to local communities – the list goes on and on. Listen to scientists. Listen to government. Listen to community members and leaders. Listen to your parents. Listen to your children. Listen to your conscience. Listen to your heart. Think. Dream. Then act. Act positively to sustain a world that will nurture wild salmon and people. Next, you must change some of your laws and practices. You must prepare for the time when humans do not hunt salmon. Hunting of salmon by humans is an ancient and honorable tradition, as ancient as our history together. It is in our nature to bring nutrition and life from the sea to the land, to nourish all the creatures and the streams where we come home to spawn. For the present you may continue to hunt us. But the time may come when the land and the waters have changed so much, when we are abundant in so few places, that it will no longer be possible to celebrate the hunt. You will need then to simply celebrate our existence and strive for our survival together. 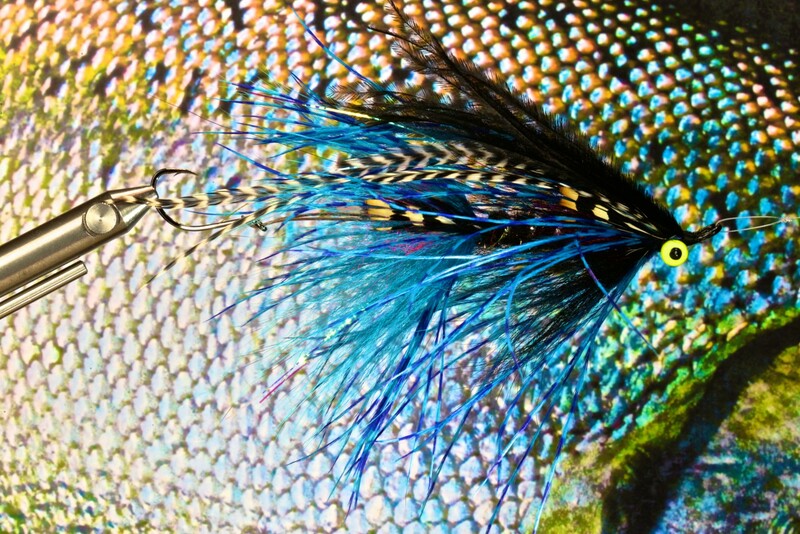 You now have industries built around hunting salmon. You hunt us in the ocean and in our home streams when we return to create a new generation of salmon. The hunt has been part of the dance between humans and salmon for thousands of years. It is in our blood. But the world has changed. The land and the waters are not as productive for salmon as they once were. Much of our productive capacity is now taken from us by a changed landscape, instead of by the spear, the net, and the hook. Many humans place great value on the hunt. For some, the value is deeply spiritual, for some the value is economic in nature, and for some, the hunt is recreation. All who participate find value in the hunt. Just understand that there may come a time when your pursuit of us will be more than we can bear. Understand that humans who depend on us for money to sustain their families may need to find new means of support. Many humans will cry out in anguish at the thought of ending the tradition of the hunt. Perhaps that time will never come. Salmon also hope that the time never comes, for if it does, it will mean that our survival is at great risk, that our number has grown very small. We shall see. We cannot force you to abandon the hunt. You must listen to the voices within your own heads, the voices of reason, of conscience, of needs and wants. Reduce your reliance on hatcheries to support fishing a little, and never count on hatcheries to sustain wild salmon. You delude yourselves about what hatcheries can and cannot do. Hatcheries have been dangerous toys. Some hatcheries have done little for salmon or humans. Others have created a few fish for you to hunt – always at great cost. Hatcheries have allowed you to pretend that the land and the waters were healthy. Today in the Pacific Northwest and California, salmon can survive in hatcheries and in many of our home streams. But if the day dawns when salmon can only survive in hatcheries, we – salmon and humans – are lost. That dark day would prove that humans have not respected the earth that we both depend on. That day would reveal the squandering of your children’s heritage. Should you close all your salmon hatcheries? No. Many should be maintained, a few should be closed, and a few new hatcheries should be built to replace hopelessly out-dated or poorly placed ones. But all hatcheries should be operated with a clear understanding of what they can and cannot do to sustain wild salmon in streams. Many should be operated at a smaller scale, and with different brood stocks. Each hatchery should be managed in concert with a local council of citizens who are committed to sustaining wild salmon in their watersheds. All hatchery fish should be marked so that all can know their true abundance. Some hatcheries may be operated to keep salmon from disappearing from watersheds above dams. 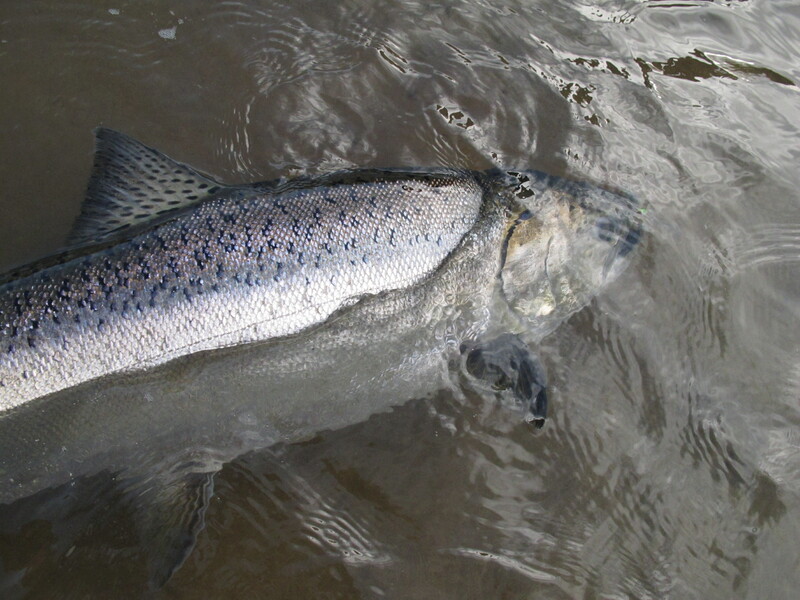 Some hatcheries may be operated simply to provide salmon for hunting. But the business of all hatcheries should be guided by concerns for sustaining wild salmon. Your laws to protect endangered species (ESA, SARA) must evolve, as salmon have, to be more effective in the future. This suggestion will chafe many humans who have already committed to sustaining wild salmon. Endangered species laws were intended to protect us, yet I believe that, as written, these laws may soon be our undoing. The endangered species laws and the threat of listing have caused humans to devote new resources to monitoring, to restoration, and to education. Many of these changes are good and have helped salmon – and we are grateful for the work that has been done so far. Still, to this day, humans squabble over whether the future of salmon is in doubt and whether endangered species laws should protect them, or not. But I now fear that these laws serve more to divide and distract people than to protect salmon. Too many humans are engaged in a fight over which salmon species should and should not be protected under law – rather than engaging in work that will benefit both humans and salmon in the next century. The laws are admirable – presuming that all species are valuable and that accommodations will be made to preserve each and every one of them from extinction. But the world is changing at a frightening pace. The resources are not available to do what must be done for all. How could laws meant to protect us cause us harm? If people believe that a law will act for them by forcing the changes necessary to secure our survival – will they not go about their business thinking that their work is done? Will they not go back to their jobs, their families, and their worries, thinking that salmon are safe because of the Endangered Species Act and the Species At Risk Act – safe without their needing to do anything more? Many sincere humans believe that laws are powerful enough to save us. To these people I say – look to the sun, the wind, and the waters; look to the molten rock inside the earth; look to the passing of 10,000 years; look at how humans have changed the face of the region in the last two centuries. These things are truly powerful; your endangered species laws are not. It is presumptuous to believe that a law will prevent the salmon’s extinction in the Pacific Northwest and California. The sad truth is that many species may indeed become extinct or shrink to a tiny number. How can this not be true, I ask you? How can this not be true given the number of humans that are spreading across the land and their appetite for the same resources that sustain us? You humans cannot educate all of your own children or protect them from harm. How will you possibly protect all of the creatures and plants in the natural world? So I tell you that your endangered species laws need now to grow so that they encourage rather than threaten, allow for compromise, and reward those humans who help us. Watch closely. Laws alone will not save wild salmon. People who care about wild salmon are the only ones who may be able to sustain us. People who build support for preserving healthy watersheds will sustain us. People who dream of leaping salmon will sustain us. People who are willing to give up something to nurture the earth for their own children will sustain us. And in sustaining us, they will preserve much of what people love about western North America: the forests, the productivity of the land, the rivers, the lakes, the estuaries, the soil, the water – our homes – for wild salmon and for people. Be prepared to sacrifice some salmon populations to save others. It is painful to say this, but I believe many salmon populations will perish in the next century. Changes already come to pass and changes on the horizon are so great that some salmon populations surely will be sacrificed to meet human needs. Struggle to save the salmon as if you were trying to save your own children – in reality you are. Grieve with us for the salmon tribes that will die. Grieve with us for generations that will not survive. But do not batter yourself against waterfalls that cannot be leapt by even the strongest. Resolve to focus your efforts where they may be most effective. You cannot save all of us. Save some of us. If I could wish away the hordes of humans who are intent on paving the land and gobbling up our waters, I would. The salmon were here for thousands of years sharing the land and the waters with Native Americans. Everything has changed in the last two centuries. Everything. We are no longer free to live where we have for 10,000 years. The world can never be changed back to the way it was. More change will come. Humans behave as if they will always rule the land and the water, as if their needs will always be met with their science and their technology. Perhaps they are right, perhaps not. There may come a time when humans will be greatly humbled. There may come a time when humans will find it necessary to live in a different sort of balance with the land and the waters and the creatures of the earth. The coastal rivers of all your so-called states and provinces, from California to Alaska, are likely to be our last stronghold on this continent. Many of the coastal rivers on this continent are smaller streams in more remote areas. Many of these streams are not so close to large centers of human population. Most of these do not have dams that block our migration. These qualities are their saving grace. These qualities give us the greatest hope that we will be able to survive in the next century. The true stronghold of salmon in the next century, though, may be in Kamchatka, Russia, far from here. Be prepared to lose wild salmon in rivers above many dams. Continued pressure by humans to change the face of the land and the waters that sustain salmon, and reluctance to restrain humans from hunting us, may make it impossible to survive above large dams that kill us as we try to migrate to and from the ocean. If we could have our way, we would breach these dams. They are an insult to salmon. But we see that human society has become accustomed to many things that dams have brought and, indeed, accustomed to the idea that you cannot prosper without all the dams. Salmon have lived more than 10,000 seasons here in the region. We have seen great floods, great fires, great volcanic eruptions, and drought. The dams will live out their lifetime, eventually. Humans may rebuild them, or they may not. We hope desperately that wild salmon and people will both outlive the dams. I will speak to you of three great rivers that salmon sing of. You know them – the Columbia, the Sacramento, and the Fraser. Of these three, we have the most hope for our survival in the Fraser. The largest rivers were once home to the greatest abundance and diversity of salmon. But most of the great rivers are now a terrible sadness to salmon. Great rivers are centers of commerce and wealth to humans, but most of the great rivers have become cruel places for salmon to live. Many of the salmon populations that once thrived in these great rivers are already gone, forever. We ask you to do what you can to let us persist in these great rivers, to do what you can to allow us to reclaim part of our homeland. Be prepared to let some of our populations slip into the past so that you may save others in the future. The loss of living creatures is not to be accepted without serious consideration. But such sacrifice is what we salmon have come to know in our lives. We bury millions of our eggs in the streambed knowing that most will perish before returning to begin our cycle again. We ascend the rivers and leap at the falls by the thousands, knowing that many will not reach our homes. This is our way. As the human race becomes more abundant and takes more of our resources, we will need to retreat. Salmon will need to get by with less land, less water, fewer home streams. It is up to humans to determine how little we will be left with, how many or how few of our populations will survive. You must steel yourselves to create a new balance between salmon and creatures that prey on us. It is offensive to speak of this need among humans who cherish wild salmon and who strive to secure our future. Many humans care deeply for all living creatures and wish to see a return to the natural balance among salmon, seals, bears, otters, cormorants, and others. We have lived in harmony with predators for thousands of years when there were only Native Americans in the region. But the world has changed at the hand of your industry. The land and the waters are not as productive for salmon as they once were, yet humans still hunt us. In favorable ocean years when our numbers are not so scarce, there are a sufficient number of us to feed the seals and all the other creatures. I fear that there may come a time when salmon will need humans to hunt some of the wild creatures that hunt us. Understand that I do not ask this lightly. And do not think that we mean disrespect to any of the creatures that hunt us. Each creature must strive to eat and survive, just as humans do. The seal, the otter, the merganser – each is simply trying to survive as it has in the past. It is the natural way of all wild creatures. But the world today is a different place than the world where salmon lived for more than ten thousand years. We are striving to adapt to this new world and simply ask that humans be prepared to hunt some of the creatures that also hunt us – if it seems necessary to sustain our populations. You must consolidate public and private land ownerships and limit human development in certain watersheds. The region is broken into patches of land owned and managed by citizens, state agencies, local governments, the federal government, and Tribes. This pattern of land ownership makes no sense in our world, and cannot support a sustainable future for wild salmon. You must create a new model of land stewardship that will serve salmon and people better than the existing pattern has. Salmon need watersheds large enough to support our life cycle at critical times of the year. Your disorganized pattern of land ownership must be replaced with one that will better serve the needs of salmon and people. Imagine land stewardship where many people work together, respecting watersheds that sustain wild salmon and people. Imagine a future where management of many public and private lands in whole watersheds is negotiated to support salmon, forestry, agriculture, and recreation. The future I ask you to imagine will require large-scale land trades and stewardship agreements. These changes will be complex and contentious, but must occur if wild salmon are to be sustained in the next century. Decisions will need to be made about where wild salmon will be allowed to thrive. You will need a plan, a map, and a schedule. You will need to make up your minds and convince politicians to approve the plan. This process will cause uproar, but it must be done. Finally, you must undo some of the changes you have made to the land and the waters over the last two centuries. You humans have worked hard to change the shape of the land in ways you thought would accommodate your communities. You dammed and straightened our rivers. You cleared our rivers and estuaries of the trees that sheltered our young in winter. You drained and filled wetlands for your farms and cities and roads. You have changed the world to suit your needs, without thinking of us. You must learn to understand how your actions in changing the earth, in the long run, are not healthy for people or for salmon. Your disregard for the needs of the earth’s creatures will create a world that will not be able to sustain your children. Humans will likely go on changing the land and the water. But you could choose to make concessions and restore a little of the world that we both depend on. Some of your dams should be removed. Many of the culverts under roads should be improved to give salmon free access to our homes. You should use water from our streams more wisely and protect us by screening more irrigation diversions. You should replant trees along many streams. You should breech many diked areas in estuaries and allow the ocean and the rivers to reclaim the marshes. All these things may be done in moderation. We do not ask humans to breach every dike and open every culvert to our migration. We do not expect every stream to run clear and cold in summer. We will be grateful for every part of the natural world you choose to protect, every piece that you restore. Salmon will be grateful and so will your children. I know you feel disappointed somehow. Perhaps you expected me to reveal secrets that you could have used, secrets to help you save us. I cannot. There are no secrets that can save us. I doubt even that much of what I have said here has come as a surprise. If you could only understand one thing it would be this: Your behavior towards people, the way you conduct your affairs of human relationships, is as important to saving salmon as any trick of your science, technology, or management. This is the only truth that seems secret to humans: that the spirits and the futures of salmon and people are more closely linked than you think. So consider this one idea. Consider that it might not be nearly as difficult to save wild salmon as some people make it out to be. Consider the possibility that a true commitment to a healthy world for your children, and a respect for your parents and neighbors, might just create a future where both salmon and people can thrive together. Please understand that salmon cannot choose. We can only struggle to survive every minute of our lives. We journey thousands of miles in danger, in darkness, in drought, and in storm, because we must. Humans struggle to survive just as we do, but humans can do so much more than salmon. Humans can love. Humans can wonder about the future. Humans can believe in things they cannot see, or taste, or touch – in possibilities. Humans can choose actions that will make the earth a better place. This is what you must do. This is what you will do, because you are human. So there you have it – one more view of what must be done to save wild salmon. One more little chattering voice. Emotional. Straight from the heart, with a little cerebral tempering. Not all that scientific. People need what salmon need, so saving wild salmon really isn’t a luxury after all. And you know what? It is achievable. We can do it if we choose to. We can save salmon and we can save ourselves – if we choose to. Really. So have faith and get out there. Build a future that is bright for salmon and people. My older son doesn’t ask about the future of salmon. He is busy making his way in the world, building his life and his family, getting by from day to day, like most of us these days. My young son continues to ask me, now and then, if the salmon are going to be OK. Will salmon be in the rivers when he has children? I say – yes, son. Am I telling the truth? I think so. He hasn’t yet asked about salmon in the lives of his children’s children, or theirs. He’s only six now. The answer to his unspoken question depends on all of us. The opinions and views presented here are the author’s own and do not represent views of current or past employers.